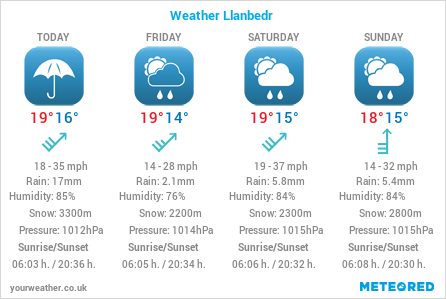 Here is a free tool which I have setup at Llanbedr airfield which will enable you to get the latest temperature, wind direction and speed for the airfield 24/7. Simply download the App “MOBILE-ALERTS” to your mobile device and then add the two sensors IDs below. Any issues experienced in setup, please get in contact. PPR MANDATORY since airfield often used for non-flying purposes. Standard overhead join, not below 2000ft QFE dead side. Avoid overflying local conurbations such as Llanbedr village. We provide flight experiences, enjoy the thrill of flying over the picturesque North Wales coastline and countryside, an experience not to be forgotten. We provide comprehensive flight training. Above all the combination of our friendly and professional staff and great location creates a unique blend that will ensure your flying experience is of the highest quality.